When Nita Naldi contracted to appear opposite Rudolph Valentino in “Cobra” the star agreed to reduce her weight. She managed to train from 143 to 124 without any ill effects. There was a clause in her contract with Valentino requiring her to keep her weight under 130. When I am interviewed one of the questions, I am almost always asked is about women. My opinions as to the modern woman, my ideas on beauty, my preferences in type, my comparative ideas as to the beauty of Italian women versus American women. I respond that comparisons regarding women are odious. How can one make comparisons? After all, beauty is to be found everywhere, and if one is more beautiful than another, it has little to do with a country and all to do with the individual. However, I do feel the American girl leads the way in beauty, all things duly considered. I may, perhaps, be prejudiced because, I married an American girl. But I honestly do not think so. Because America is the great melting pot, of beauty. Or because the beauty of all countries and all races has filtered into America and has made the American woman a gorgeous composite of all other beauties. But I certainly have observed that American girls all have something of beauty. They may not be a classic type but almost everyone of them has a chic, a smartness, a knack of wearing clothes, some outstanding mark of loveliness that commends her to the eye. At the time, Mrs.Valentino was in Mexico to be married. Before entering the courthouse, she hesitated long enough to answer a bold reporters question. “Do you love Valentino”? the reporter asked. The answer was “Forever” breathed the bride. Whereupon she disappeared into the silence away from the glare of publicity. This book is by author Daisy Waugh published in 2011. Available in hard print only. When Rudolph Valentino died, tens of thousands of people trampled one another in a desperate bid to view his body. They were as smitten with him in death as they had been in life – perhaps even more so due to the tragic nature of his passing. On his deathbed he cried out for one person; not his wife, Natacha Rambova, but an unknown “Jenny”. While his wife protested that Jenny was the name of Valentino’s spiritual guide, many were sceptical. It is this mystery which is the inspiration for the fictional Last Dance with Valentino. In 1916, Jennifer Doyle arrives in America and falls irrevocably in love with Mr Rodolfo Guglielmi. In 1926, Lola Nightingale sits alone in her hotel room as Rudolph Valentino lies gravely ill behind impenetrable hospital doors. The decade that separates these two scenes is filled with dreams and loss, yet doesn’t alter the fact that both Jennifer and Lola, and Rodolfo and Rudolph, are one and the same. “I shall do what I always do in times of confusion, disorder, disarray, complete and utter madness…” writes Jenny, “I shall scribble it down on paper.” The resulting “scribbles” are a record of the lives of Jennifer and her contemporaries as they weather a barrage of trials and tribulations – many of them apparently self-inflicted. Her life in America begins as a nanny (or rather general dogsbody) at “The Box”, home to the wealthy De Saulles couple, their son Jack, a menagerie of servants and hordes of temporary guests. Jennifer’s idle father has launched his own campaign of adoration at Mrs de Saulles, only to be rebuffed – suffering a personal failure that seems to affect him far beyond the many professional failures already trailing in his wake. As Jenny remains bound to the De Saulles household, Marcus Doyle turns to drink to fill the void. Life continues in that nature, interspersed with ever-more-determined attempts at writing photoplays, until Jenny becomes Lola – once childhood nickname, now the latest protegee of the famed Frances Marion. It seems that Jenny has found both her chance to be a writer and her long-lost lover; but it seems, yet again, that fate is to intervene with its former cruelty. With an endearing self-deprecation, Jenny braces herself for the news that is inevitable and unthinkable. The director’s name was Rex Ingram and he was born Reginald Ingram Montgomery Hitchcock, on January 18th, 1893, in Rathmines in Dublin. If there was one family member whom Ingram might have wanted at his side that night, it would probably have been his only brother, Frances Hitchcock who was recovering from being gassed in the trenches. The two Irish Hitchcock brothers were to leave behind them two different legacies, one as a film director, the other as a chronicler of the first World War. As the children of a Church of Ireland rector a Trinity classics scholar and boxing enthusiast – Rex and Frank moved from rectory to rectory before the family settled in Kinnitty, in Co Offaly. Their mother, Kathleen, died in 1908 after failing to recover from an operation. Propelled by the loss of his mother and by his inability to pass the entrance examinations to Trinity College Dublin, Rex emigrated to the United States in 1911, aged 18. Frank was devastated by his brother’s departure. His father remarried the following August, but Frank never took to his stepmother, and shortly afterwards he escaped the difficult atmosphere at home by enrolling as a boarder at Campbell College in Belfast. Two years later he began his army career as a cadet at Royal Military Academy Sandhurst. After a short spell of manual labour at the New Haven dockyard, Rex secured a place at Yale to study sculpture. But a chance visit to the Edison family set him on another path, and the following year he dropped out of college and joined the brazen new world of moving pictures, based at that time in New York. The outbreak of the first World War saw one brother hustling for work in whatever capacity he could – actor, writer, stuntman – while the other was stationed as a junior officer in the Leinster Regiment at Victoria Barracks in Cork. In May 1915 Frank received orders for the front. Two weeks later the 19-year-old was at Armentières, commanding a platoon. Next up came Ypres. The dirt, the fatigue, the filthy, lice-infested men in the front line were all recorded in Hitchcock’s trench diary, which he kept in great detail throughout the war and skilfully illustrated with maps and sketches. Rex, also keen to join, applied to train as a pilot with the Signal Corps. By now he had also taken his mother’s name and was known as Rex Ingram. This would later cause confusion thanks to the American actor of the same name. The family were also no relation to any other film director named Hitchcock. Rex married a young starlet, Doris Pawn. He discovered that he had never fully completed his citizenship application, and to enlist in the Signal Corps one had to be a full citizen. The alternative was to join Britain’s newly formed Royal Flying Corps Canada (RFC Canada). In March 1918 Rex started life as a cadet in the RFC. He wrote to his brother and asked him to get a pair of riding breeches and a pair of Fox’s puttees – leggings – from the Kinnitty tailor Joe Molloy. A photograph from the time shows him standing on the wing of a plane, his goggles perched on his forehead, his leather coat tightly belted. He smiles with a faint air of self-consciousness. While working as an instructor to the Officers’ Cadet Battalion at Fermoy Barracks, Frank met Elisabeth Brazier, who was running a voluntary canteen for the soldiers, and a year later they were married. In Canada Rex struggled with pilot training. He was prone to dreaminess, and once up in the air the words of his instructor faded into oblivion. Ingram roared high above the aerodrome and out of sight, and, 45 minutes later, he crash-landed his Curtis Jenny, taking out another stationary plane as he hit the aerodrome. Perhaps fortunately, as he readied himself to travel to Europe, the news came through: war was over. Frank had returned to the Western Front in August 1918 and was involved in the triumphal march into Germany. Despite poor health he soldiered on with the Leinsters in India, until the regiment was disbanded in 1922 with the coming of Irish independence. He spent several years in a sanatorium in Switzerland, and it was there that the brothers were to meet again after 15 years. Rex Ingram’s active service may have been undistinguished, but The Four Horsemen of the Apocalypse is one of the great anti-war films, a blockbuster for its times. Its profits saved Metro Pictures from certain bankruptcy. An obstinate perfectionist, Ingram fell out with Louis B. Mayer at MGM, but the studio agreed to set him up in southern France. It was here that he made another first World War epic, Mare Nostrum, written by the author of the original novel of The Four Horsemen, Vicente Blasco Ibáñez. 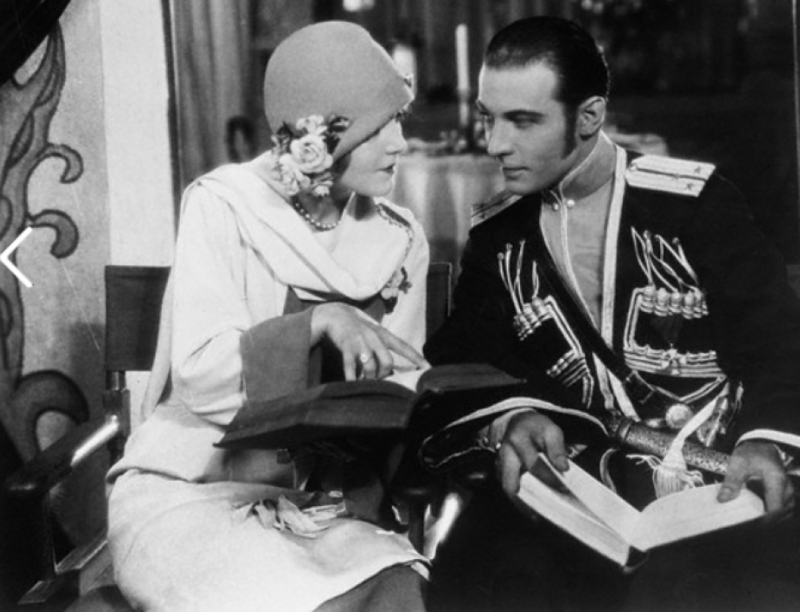 Rex’s marriage to Doris Pawn had ended as easily as it began; his second wife, silent film actress a former co-star of Rudolph Valentino who starred in Mare Nostrum. She played Freya, an Austrian spy who seduces a sea captain (played by Antonio Moreno) to win his loyalty to the enemy side. The action spanned three countries, included a magnificent set-piece submarine attack, and was visually stunning. He would continue to make films out of Nice until the arrival of the talkies, at which point he retired from film-making, converted to Islam and travelled around north Africa, gathering stories about its people.